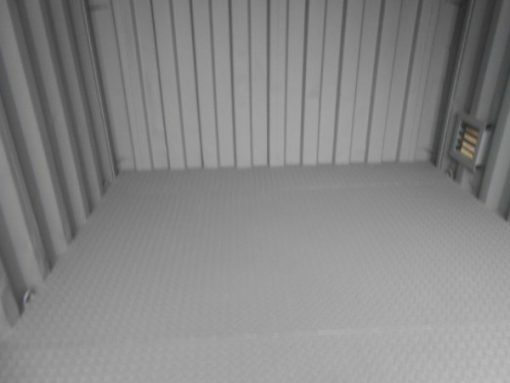 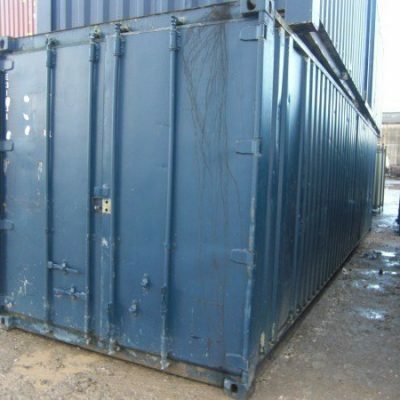 10ft x 8ft corrugated Anti vandal Bunded storage container. Lockable double door entrance complete with lock box ,the internal timber floor is overlaid with a 3mm steel checker plate floor then fully welded including a 9 inch return edge to the door area to retain any spillage.Two heavy duty low level louvre vents are fitted for ventilation,the floor is fully primed grey and all work made good . 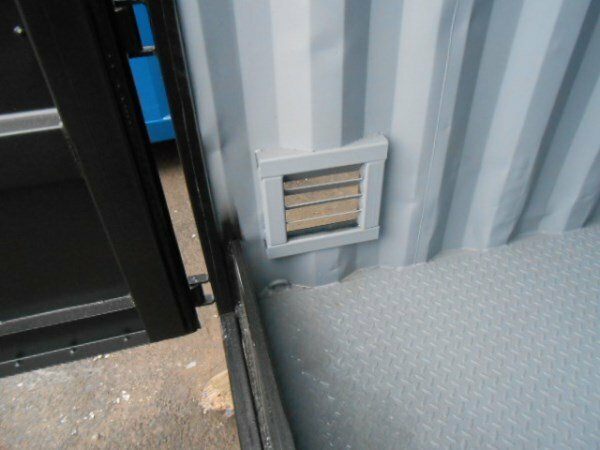 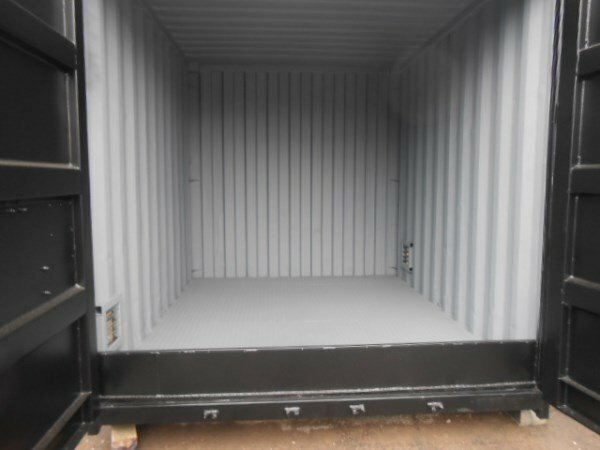 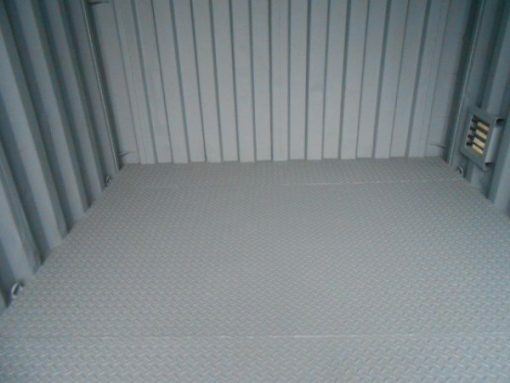 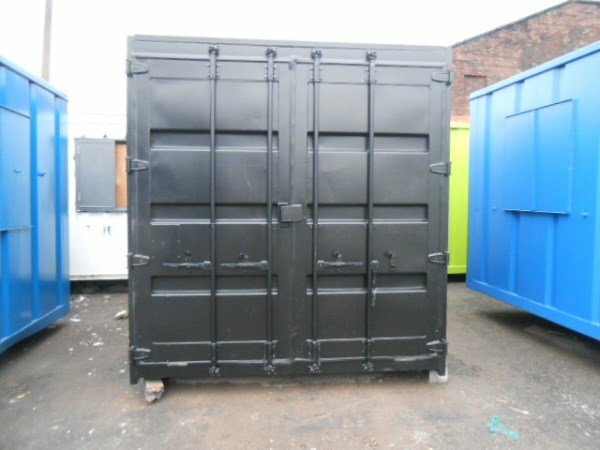 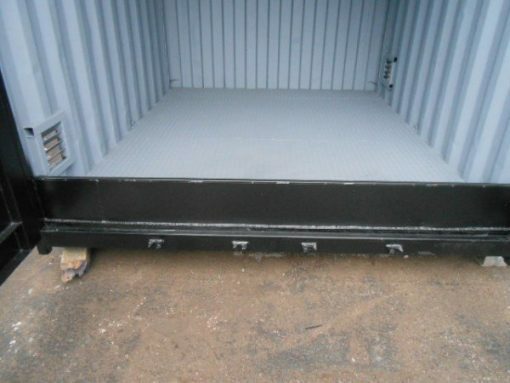 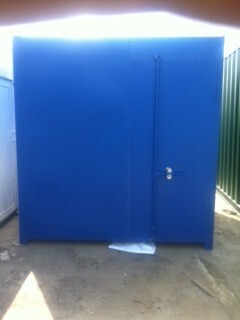 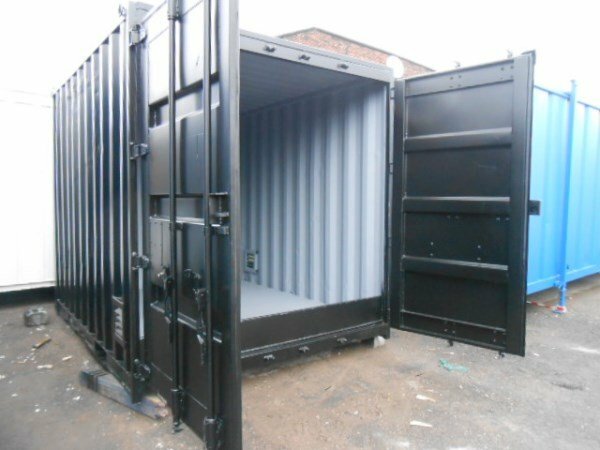 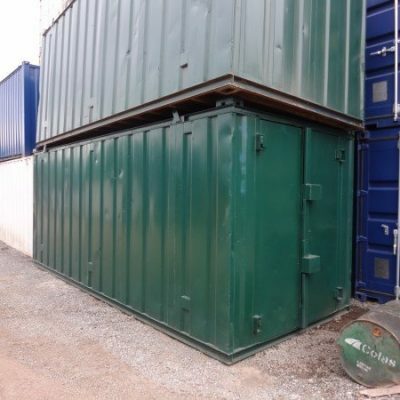 This bunded container is available in other sizes and colours, please contact us for further information.